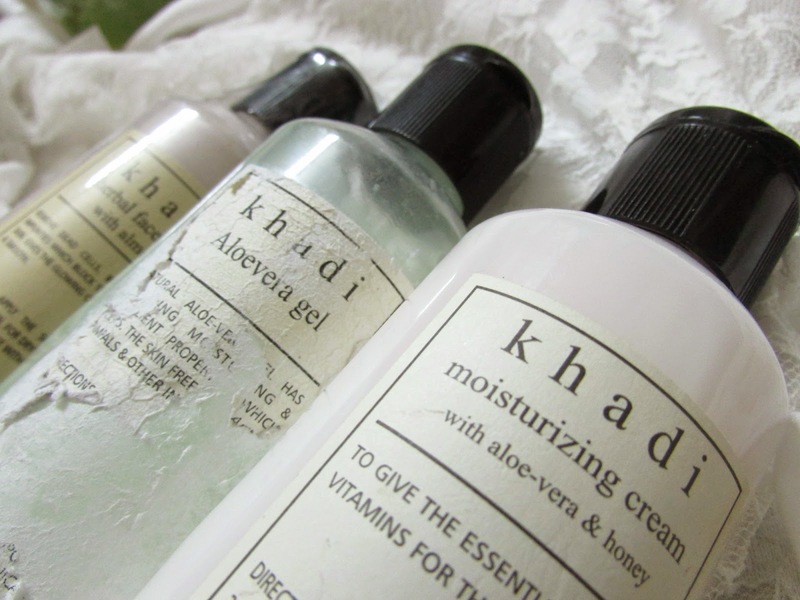 For people like me , khadi is a candy factory, a hall full of all things girls need . 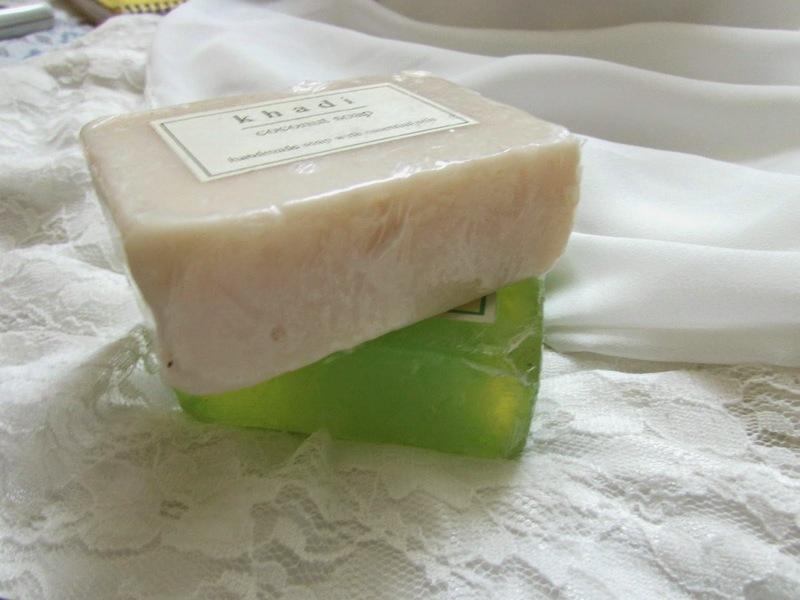 Everything herbal and handmade. As I live in Delhi, I have access to the huge 3 floor store they have in the heart of the city. The section I love the most is ground flour. Before you think I am paid to write this post, I must clarify, I love the store so much , i have been going there since I was a really really tiny with my mum ,so had to share with you guys. i am obsessed with all their all natural skincare, bathing , medicines, homey , Spices, and all other things you can think off. So while my cousin was visiting, I took her to the place and she loved it so much that we ended up going there 3 time in 2 weeks and came out every time with our hands full . Where she she was going crazy shopping , I decided to try some new things. 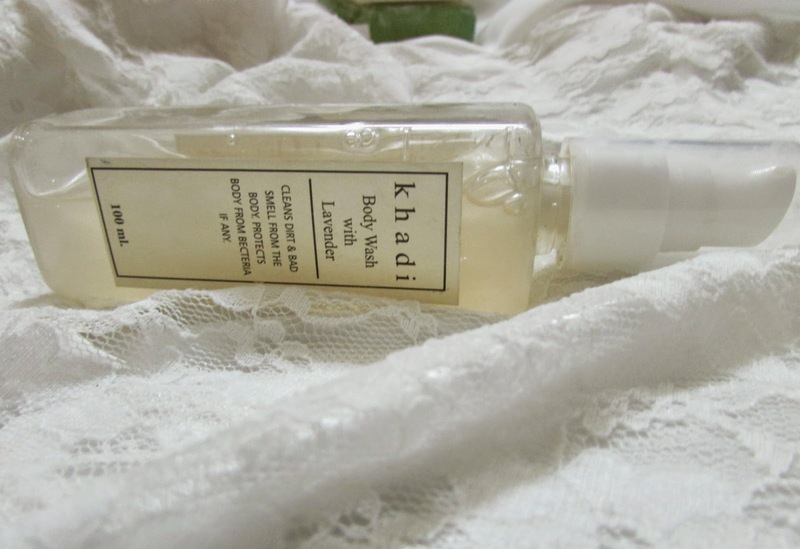 This time I also picked up a body wash , Lavender Body wash (120 INR) . 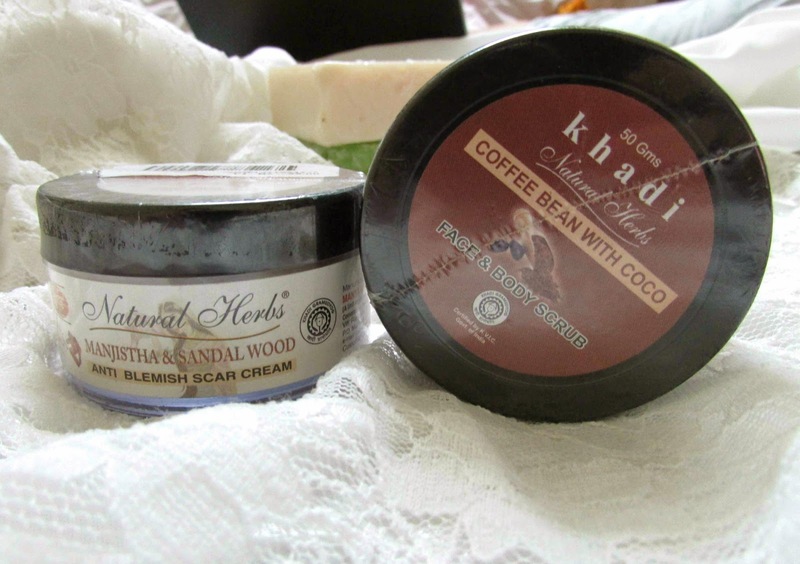 Next I got Coffee bean and Coco Scrub (110 INR ), it was suggested by SA for my acne scars , She said it works very well for aging skin too , so me and my mum are both going to test it. She suggested this Anti-Blemish Cream (95 INR ) to go with it , so I got this too. If you guys have been following my blog , Being Beautiful and Pretty , then you know I have oily and acne prone skin and I love to use home remedies. So when I saw these babies , I just had to get them. I read the ingridients list and I was sold, They sound like home remedies in bottles. 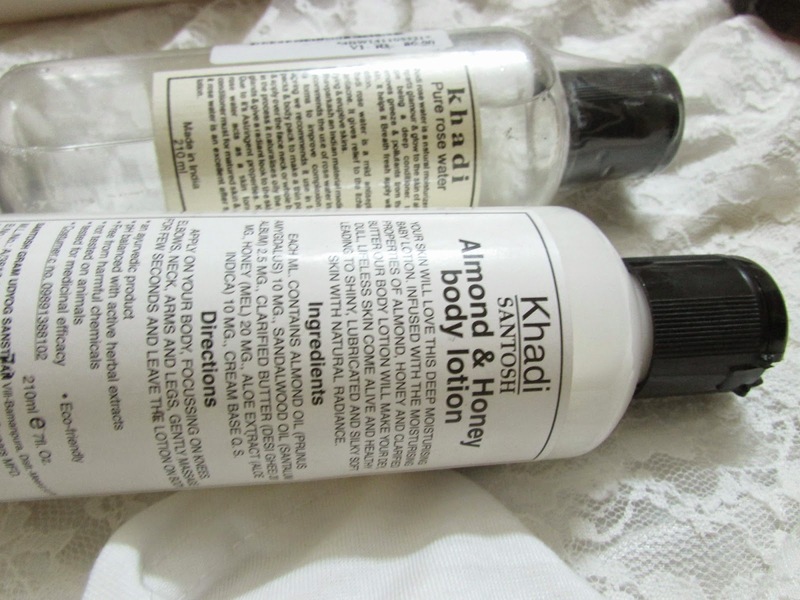 Then I went ahead and got Almond and honey body lotion ( 130 INR ) , If you have noticed , I concentrated on getting aloe vera , honey and almond products . It is said that aloevera keeps skin fresh and almond and honey are really good for scares and work well for all skin types. As I read the ingredients on rose water pack (80 INR ) It was in my basket , its pure rose water, i am going to use it for packs and stuff. Then I decided to show some love to my hair and got The very famous Bharanjraj oil ( 120 INR ) . Then this box of Hair Powder (60 INR ) caught my attention , its a powder to wash hair which acts as both shampoo and conditioner. The Beat part about them , is that all the products are Paraben and chemical free. So excited to try them all. Wow i so wana try coconut soap but we dont have this brand in our country. Glad I found this post. It’s really awesome. 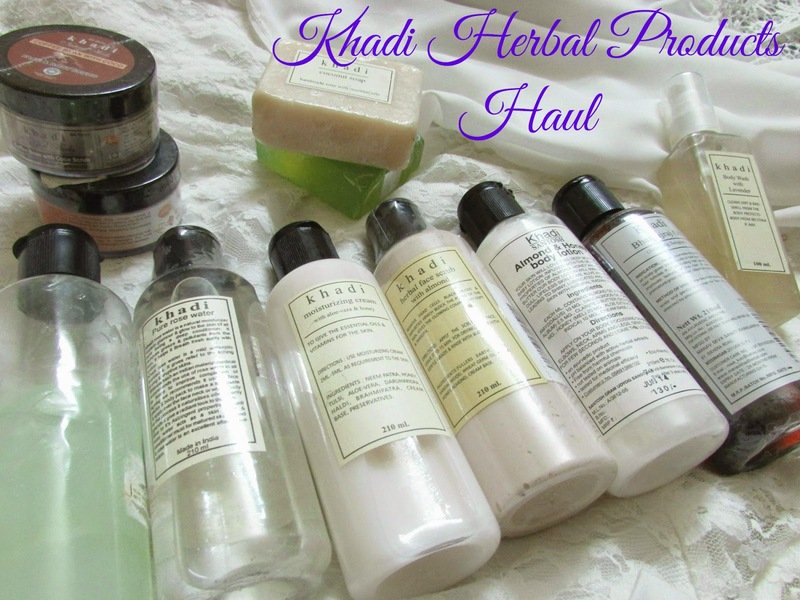 Thanks for sharing information on khadi herbal products. Try all natural natural skincare, bathing , medicines, homey , Spices, and all other things you can think off. 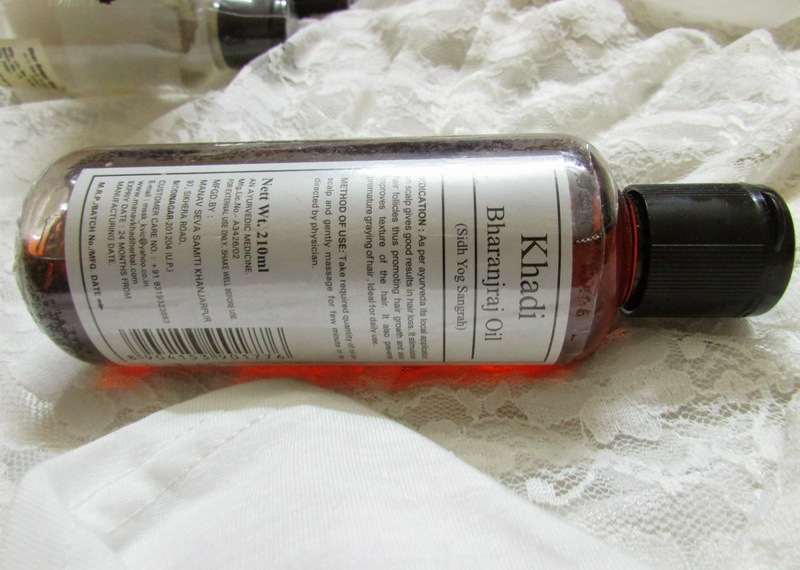 Get the best khadi natural products from thekhadishop.com that offers 100% pure and natural handmade khadi products.